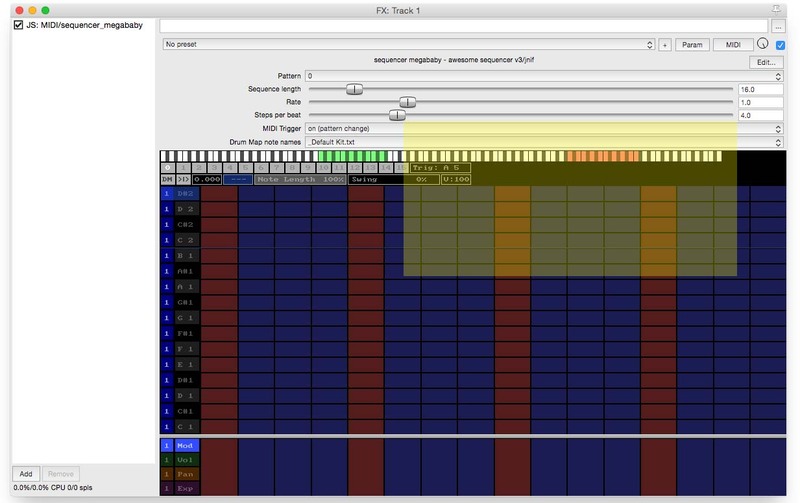 The Sequencer_Megababy plugin for Reaper can be programmed into 16 Patterns – these Patterns can then be triggered using midi notes on the track via Piano Roll. In the image below I have highlighted the midi trigger zone. To alter the Zone we can drag it left or right into an area of the keyboard that we would prefer. Watch the video again and look at the zone highlighted in Fig C see how it changes? 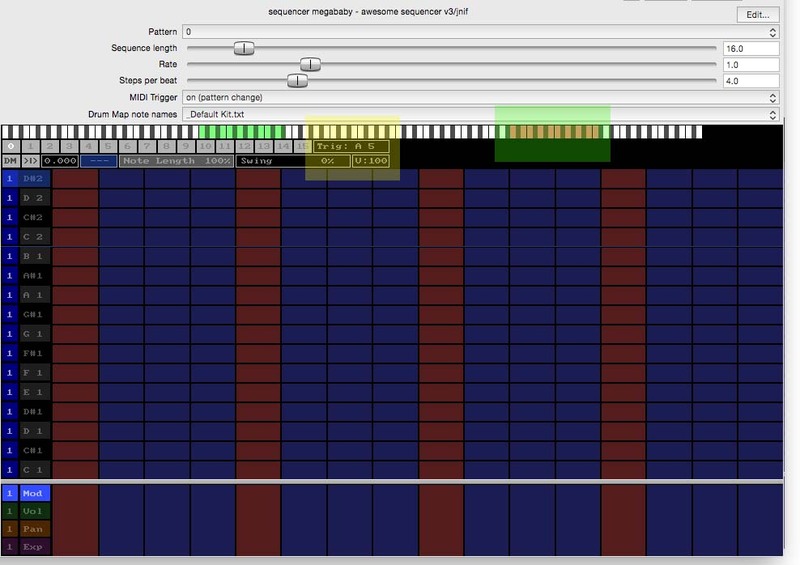 Next we need to tell Sequencer_Megababy that is is now in Midi Trigger Mode. Press W and you will go to the beginning of the track. This is how we will trigger our drum patterns. First you need to download the following file to somewhere you can remember. Now we can use the Wheel on our mouse to find our renamed notes and our midi patterns. 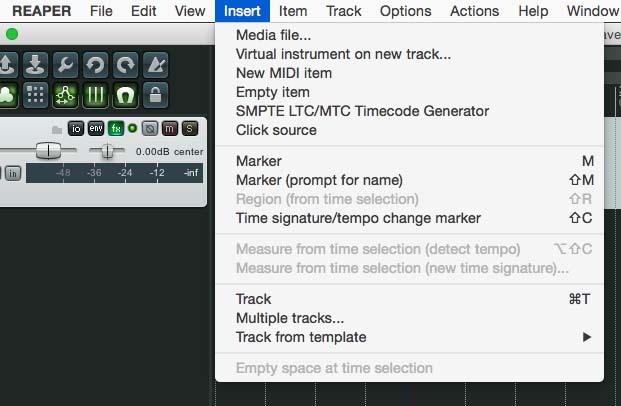 Go to your Track and click FX to bring up sequencer_megababy. 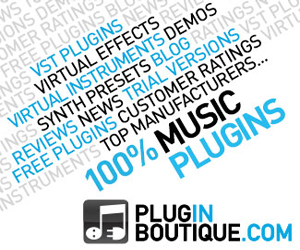 We are going to pin the plugin so that it stays on screen. You should see on the piano roll Patterns 0 to 15 written on the piano keys. 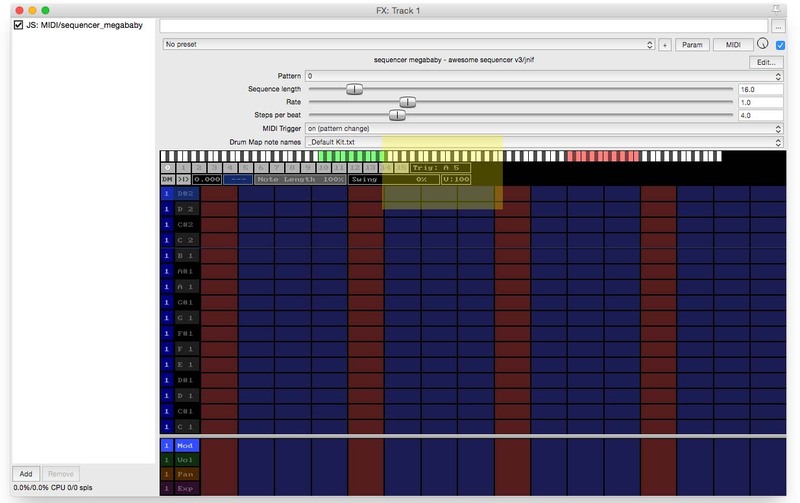 As you press these patterns will change in sequencer_megababy. 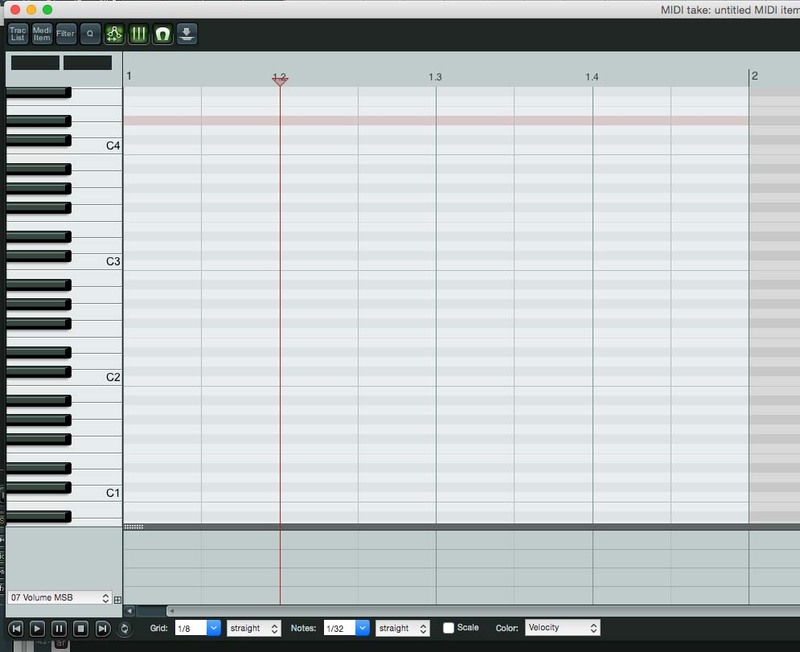 Now by drawing in a midi event in our piano roll we can automate this pattern change. Close the piano roll window. Right Click on untitled MIDI item and Copy Items, now paste at the end, repeat four times. Repeat for all 4 midi items. Double ciick pattern 0, Right Click to enter note for pattern 0 on piano roll, see video below. Go to Reaper Main screen. Press W to go to beginning of track. 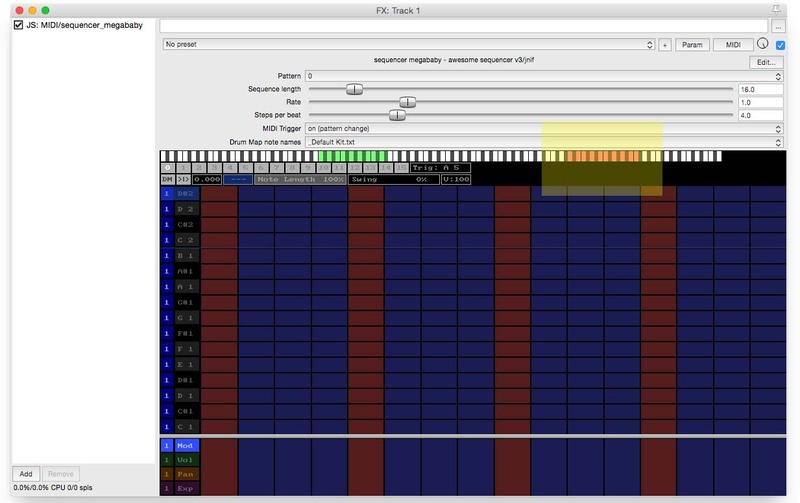 Click FX on track to bring up sequencer_baby and press play. You should now see patterns change. First load in a Drum Instrument – for this I’m using DopeVST – you can use what you have. You can repeat the process until you use all 16 patterns if required. 1 final tip while I think on it. If you have any questions please feel free to ask via comments and I’ll see what I can do.